AMIT MAJMUDAR is a diagnostic nuclear radiologist who lives in Dublin, Ohio, with his wife and three children. His poetry and prose have appeared in The New York Times, The New Yorker, The Atlantic, The Best American Poetry (2007, 2012), The Best of the Best American Poetry 1988–2012, Poetry, Poetry Daily, and several other venues, including the eleventh edition of The Norton Introduction to Literature. His first poetry collection, 0º, 0º, was a finalist for the 2009 Poetry Society of America’s Norma Farber First Book Award. His second poetry collection, Heaven and Earth, won the 2011 Donald Justice Prize. The first poet laureate for the state of Ohio, Majmudar blogs for the Kenyon Review and is also a critically acclaimed novelist. 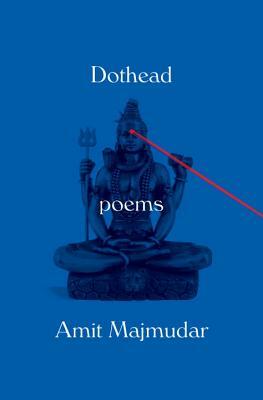 Library Journal listed DOTHEAD as one of their Spring poetry picks of 2016 for "pointedly offering commentary on those who aren't always at home in America."